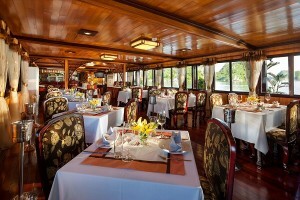 On October 1st, 2007 Victory Cruise, was launched successfully. 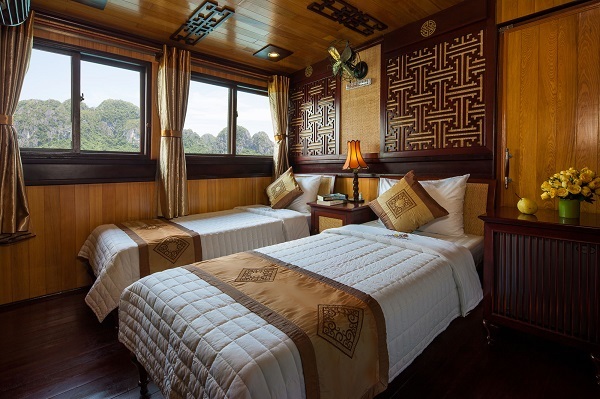 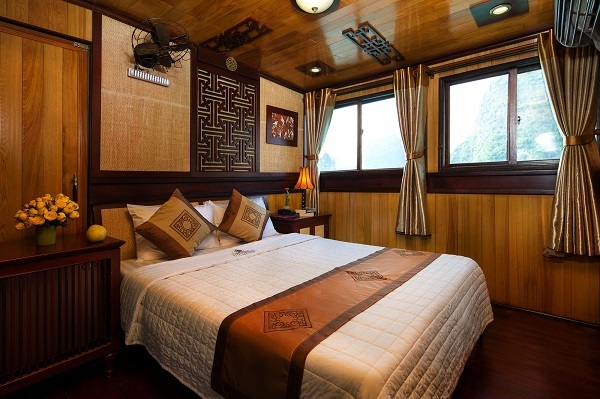 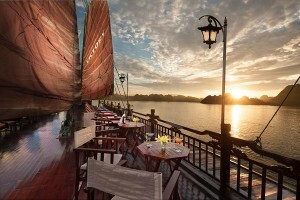 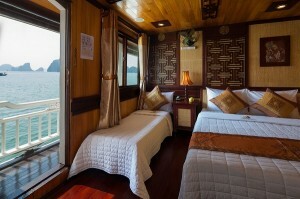 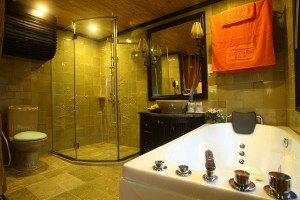 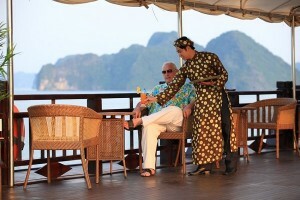 It is a-21-luxurious-cabin cruise for you to travel around Halong Bay. Each room has its own a private bath, an air conditioning, linen sheets with all the amenities and services you would expect from a four-star hotel so you will feel relax and comfortable as your house. Victory Cruise is also a symbol of traditional legendary beauty combined polite beauty ofEastern style. Come and enjoy here, you will have opportunity to use the most modern and convenient services and be served by a lot of professional staffs. 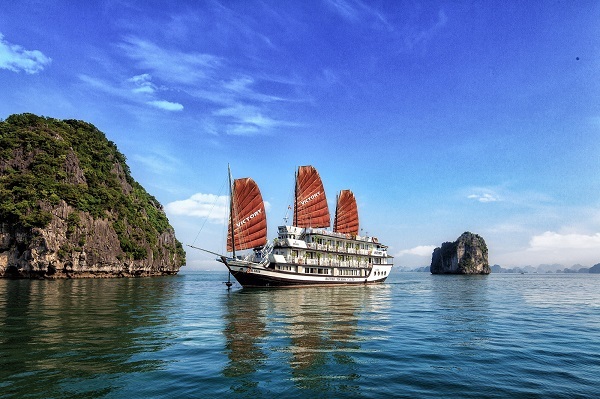 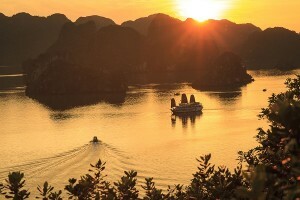 This cruise can bring you to amazing journey to discover Halong Bay- a Natural World Wonderas well. 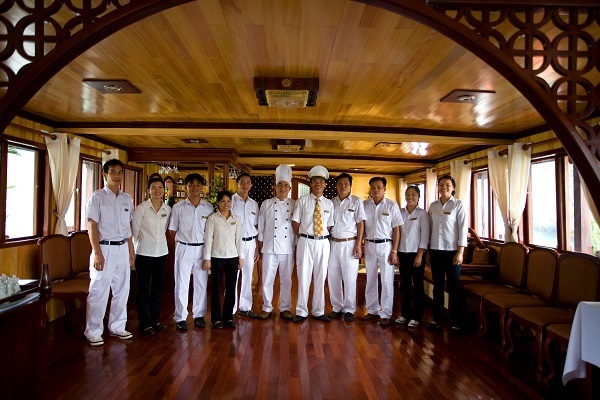 11.30 – 12.15: Arriving at Hon Gai harbor and welcoming at Victory Café. 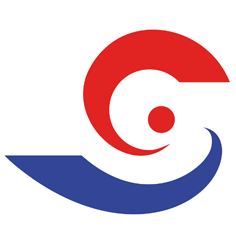 12.15 – 12.30: Transfer by tender. Welcome drink – Check-in cabins . 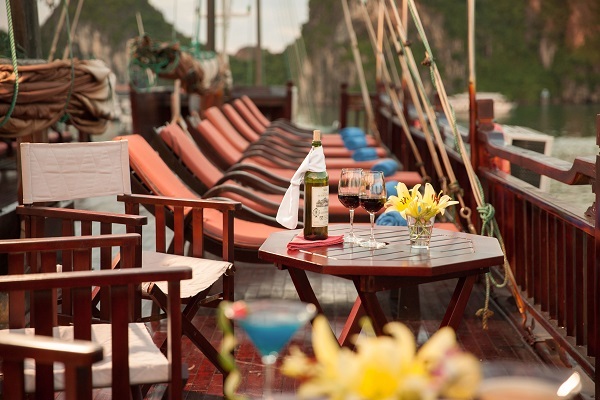 13.00 – 14.30: Enjoy local Sea food lunch while the junk sails to the Bay. 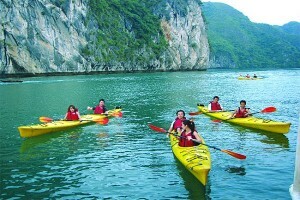 16.30 – 17.00: Swimming and/or Kayaking, Massages, Shopping on board. 17.00 – 18.00: Back to your Junk and cruising to reach Anchorage area. 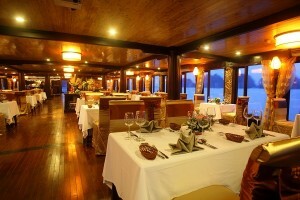 19.30 – 21.00: Savor our Set-dinner in dinning room. 21.00 – 23.00: Relax on deck, drink service, and squid’ fishing. 06.30: Enjoy sunrise over the Bay and Tai Chi Course. 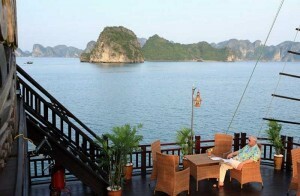 07.00: Coffee, tea and breakfast pastries. 07.30: Transfer to rowing boat and discover in Vung Vieng Village the daily life of Halong Bay Fishers’ Families. 09.00: Check-out cabins – Luggage’ collection. 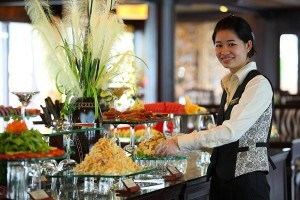 09.30: International buffet and bills’ payment. 10.45: Arriving at pier, time to say goodbye. 1 Asian Set Lunch, 1 Set Dinner and 1 Breakfast 1 International Brunch.